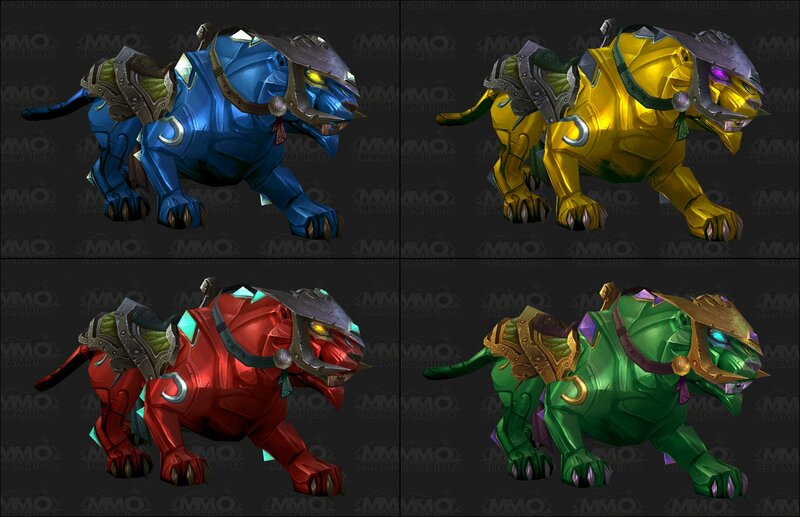 One of the new craftable mounts by jewelcrafters, the other ones being Sonnensteinpanther, Saphirpanther and Jadepanther. 20 Rubellit which you can find in numerous containers and get from Bergbau, Sondieren and transmuting. 4 Lebendiger Stahl which are made by using Alchemie. There are two spells that can make Lebendiger Stahl. One requires 6 Trilliumbarren and has a 1 day cooldown (Transmutieren: Lebendiger Stahl) while the other requires 3 Trilliumbarren and 3 Geist der Harmonie and has no cooldown (Stahlherstellung). 2 Serpentin which are sold by Danky in the Shrine of Seven Stars and by Krystel in the Shrine of Two Moons . They each sell them for 1 Geist der Harmonie. They can also be created using 10 Funkelnde Scherbe which are found while Sondieren. This panther mount combined withSonnensteinpanther, Saphirpanther, and Jadepanther creates the slightly larger Juwelenbesetzter Onyxpanther. Note that to create the Juwelenbesetzter Onyxpanther all 4 panthers (Sonnensteinpanther, Saphirpanther, Jadepanther and Rubinpanther) must be in your bags UNUSED. The recipes requires reputation with Orden der Wolkenschlange and 200 gold, each.